Happy Monday, ladies! How you doin? I hope everyone had a beautiful weekend and that this week is off to a lovely start for all of you! 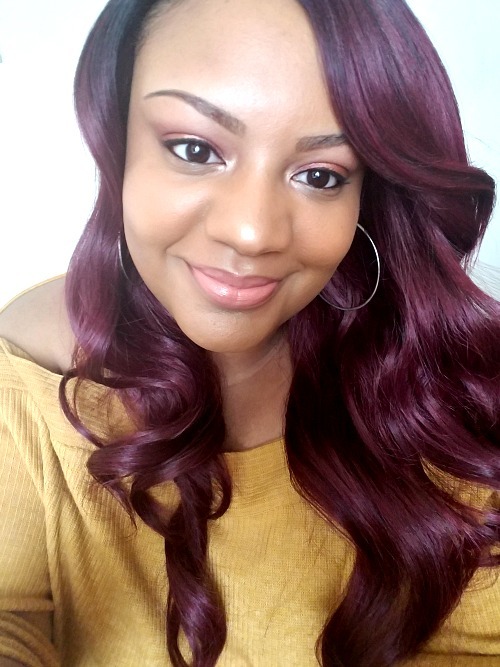 To start off this week's posts, I'm doing my usual MANICure Monday link-up hosted by the lovely ladies Lynn and Mimi. 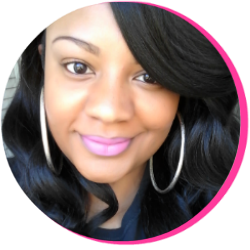 To get geared up for the Spring Season, I pulled out my Sinful Colors Nail Polish in Mint Apple and applied two coats. 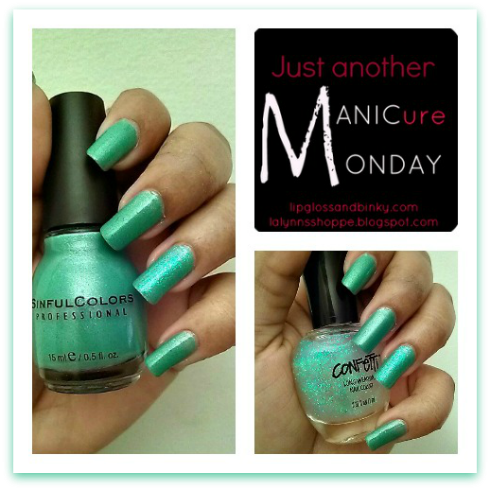 This polish is a beautiful mint shade with a soft, shimmery finish. I can already tell I'll be using this polish a lot this Spring! And though this polish didn't need any extra sparkle, I couldn't help but add just a bit to the accent nails anyway. For the added shine, I applied two coats of Confetti Nail Polish in Ice Ice Baby to my thumb nail and ring finger. Do you notice the green flecks of shimmer? And an added bonus to my manicure this week is this new product I'm using. Are any of you like me and hate having to use two separate products as a top coat AND a base coat? 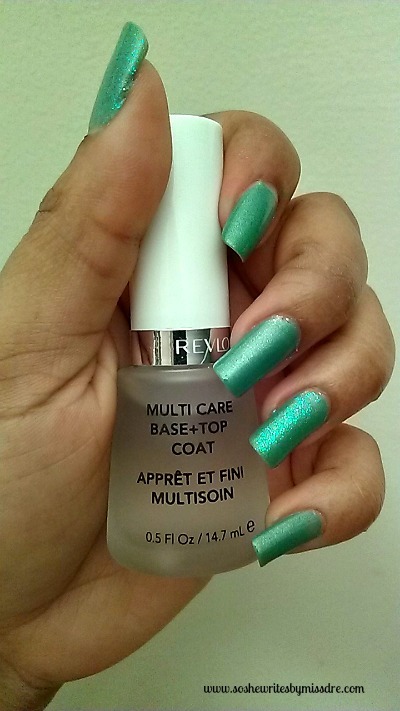 Well I've found a solution to that with this Revlon Multi-Care Base + Top Coat. After I've worn this manicure for a while, I'll be able to give a better report about this product. For now, I'm just happy to have two products in one!